As a person who is called by the title of “Worship Leader”, these phrases have made their way out of my mouth more than once. Like me I’m sure you’ve fallen into the trap of using outward praise to gauge the temperature of the worship in your congregations. And the opposite can also be true; we can look to the calm composure of our congregants and determine their worshipful maturity by observing their solemn response. Without even knowing it, we as leaders can turn into Crowd Pleasers if we’re not careful. When we become Pep Rally Cheerleaders or the counter part—a passive voice to those in our congregation—we forfeit our God given role and calling as a facilitator to those we are leading. God has called us to so much more, and I believe stylistic approaches to worship and corporate gatherings hold merely a piece of the picture that we’re trying to put together. When I study Scripture I see a far less limited approach to worship as a whole. God is concerned not just about our style, but about our Original Design. It is my belief that what I’ve stated above in regard to “worship as not just a style,” has actually been far too overstated in many circles to where it’s becoming the next gimmick. It’s my hope in this article to look at worship from a different slant using I Timothy 2:1-15. It is my heart is this article of 2,000 words to show how Paul had a vision of worship that went much deeper than style. Paul focused on order in worship, to be sure, but it is interesting to note that what Paul’s greatest focus was in addressing the church under Timothy’s oversight in I Timothy 2:1-15, had nothing to do with style at all. It had everything to do with biblical femininity and biblical masculinity expressed appropriately. The men had forfeited their role in protecting doctrine and leading in a respectful manner. Instead they were arguing and debating meaningless genealogies in full view of everyone. The men also forfeited their role as protectors through prayer. Their natural tendency to lead had taken over and they were forgetting the Kings, authorities and church that they were serving under and within. It wasn’t that the men were getting it all wrong, for they were simply diluting their role. Nonetheless, it was causing disruption among the church because they weren’t fully acting within the role that God had given them to play. This led to malformation within the feminine roles. The women were letting their hair down like the prostitutes in that culture and were adorning themselves in ways that most obviously drew attention to their beauty and not Christ’s. They were standing up and correcting the preacher in the middle of service and their lewd and loud behavior demonstrated an attitude of fear more than that of protected humble submission. In other words, there’s more to worship than just style. God has a design for all of us, both in our spiritual gifts and our gender specifics. 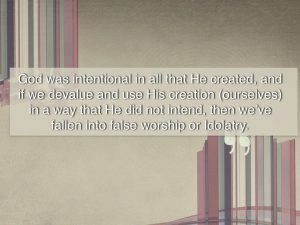 God was intentional in all that He created, and if we devalue and use His creation (ourselves) in a way that He did not intend, then we’ve fallen into false worship or idolatry. 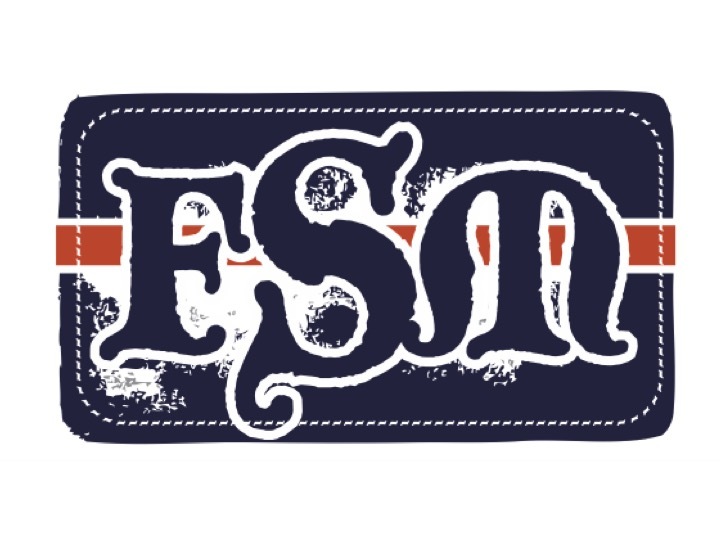 It is my hope in this article to show how we can biblically manifest style, and do it in such a way that we adhere to the Worship of God via our specified position as men and women. We can do all of this in obedience to Scripture and out of this will spring more naturally healthy and fluent worship both in song and life.